So hey, that Thor: Ragnarok movie looks like a deliriously good time, right? It’s kind of refreshing to see that series lean fully into its fantasy roots, and I’m really glad that director Taika Waititi’s sense of humor is clearly intact. The anticipation got me thinking about my favorite fantasy comedy, and it’s a film that’s perfect for this column. 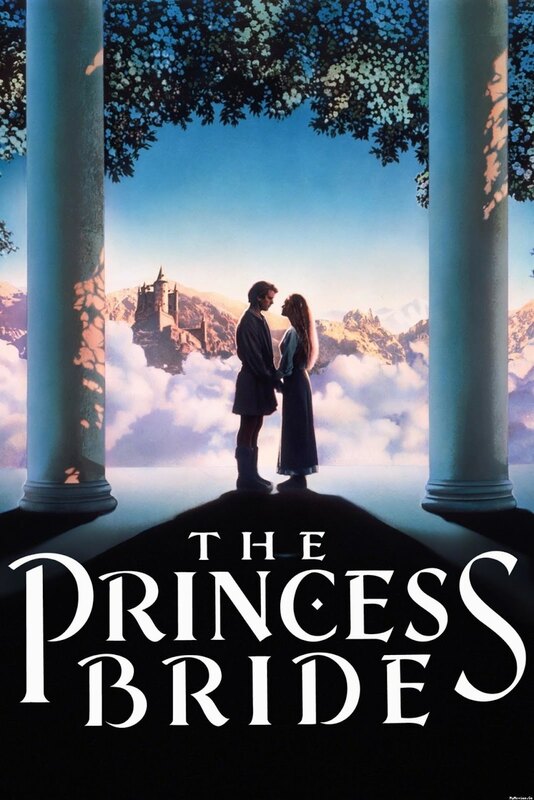 Production Company: Act III Communications, Buttercup Films & The Princess Bride Ltd.
Few films have gone from cult classic to genuine pop culture touchstone quite like The Princess Bride. Rob Reiner’s epic romance/fantasy/comedy movie was not exactly a smash hit at the box office, but quickly found an audience on home video. Thirty years later, the film is well known for its memorable characters and even more memorable dialogue. It doesn’t quite have the pop culture ubiquity of Star Wars or The Lord of the Rings, but it’s well known and beloved by a dedicated group of fans who can often quote it backwards and forwards. It’s also one of the very first movies I have coherent memories of watching; it was one of my mother’s favorite movies and it would often just be on the TV. So there’s always going to be a degree of nostalgia with how I view the film. I wouldn’t call it one of the best movies ever made, but it’s always going to be a personal favorite. And I do still think it’s very, very good and holds up very well. The Princess Bride is a classic fairy tale, something the film reinforces by framing the main story as a book that a kindly grandfather (Peter Falk) reads to his sick grandson (Fred Savage). 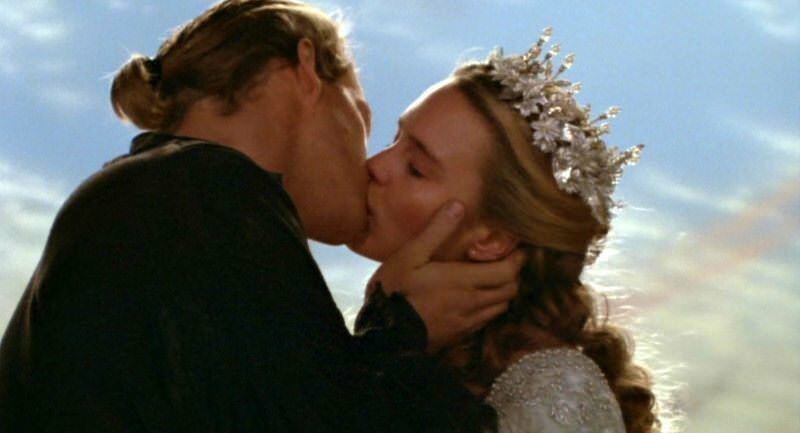 Said main story is primarily a love story between the beautiful Buttercup and farmboy Westley, who she believes to be killed by the Dread Pirate Roberts. 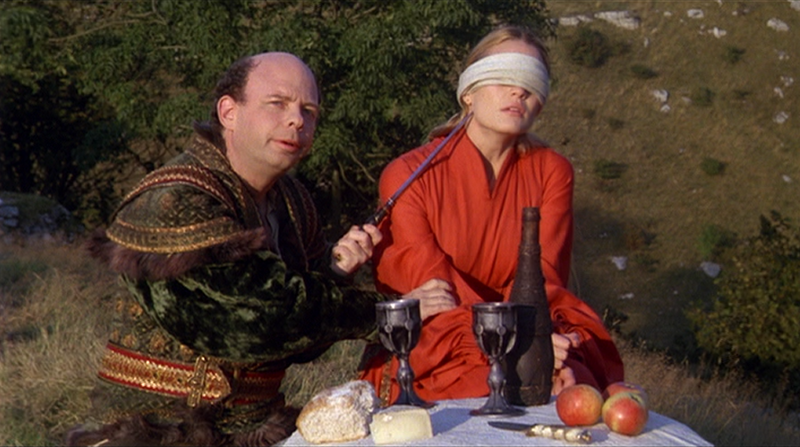 When said pirate appears to be rescuing her from kidnappers (Wallace Shawn as the wannabe genius Vizzini, his Spanish fencer Inigo and giant for hire Fezzik), she is reunited with Westley. Just in time for her fiance (and mastermind behind her kidnapping) Prince Humperdinck to track them down and capture his bride to be. 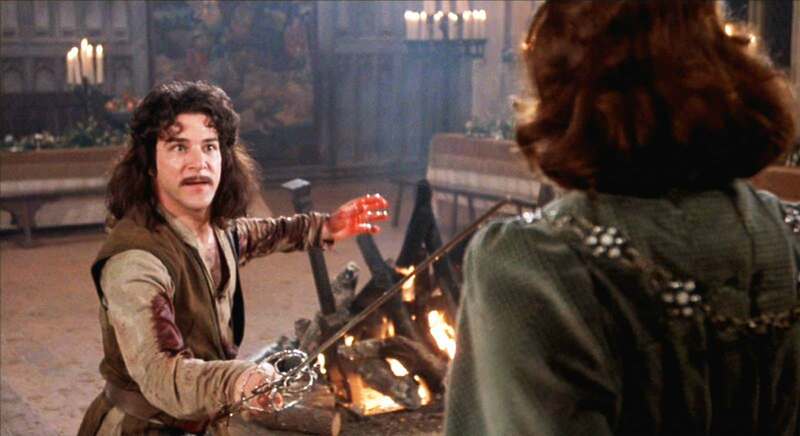 Oh, and Humperdinck’s Count (Christopher Guest) plays a six-fingered sadist who killed Inigo’s father Domingo Montoya. Inigo wants to say hello to this Count, who must prepare to die. You may have heard. 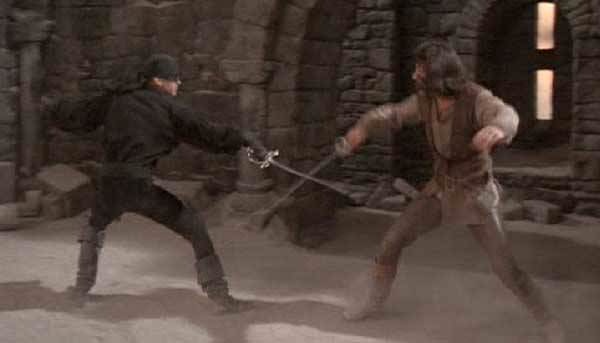 Inigo and Fezzik join forces with Westley to defeat their common foes and save Buttercup. And if you think that plot summary has ruined the movie, trust me; it’s not what happens, it’s how it happens. This film is fun and funny, but also spends enough time developing its characters that when it goes for sincere drama, it lands. Not an easy feat. A lot of this comes down to casting; Cary Elwes is supernaturally well suited to this sort of swashbuckling role. Andre the Giant’s charisma and charm males Fezzik a truly lovable giant. Mandy Patinkin has the most dramatic lifting to do and he pulls it off. Robin Wright… would go on to much better roles but perfectly embodies the ingenue character she has to work with. Wallace Shawn has perhaps the most inconceivably best work of his career as a mad genius who isn’t as smart as he thinks. Sarandon and Guest are great foppish villains, whose camp is fully at home in this story. And while I won’t spoil it for those who haven’t seen this movie; Miracle Max nearly steals it. Speaking of those who may have heard of it but not seen it; you really should give it a chance. There is exciting swordfights, wrestling matches and castle storming. The love story is sweet, the camaraderie between the heroes is endearing, and the individual scenes provide fresh ideas in the fantasy genre. It’s also funny as all hell and immensely quotable. While a childhood attachment certainly helps, the film is good enough to be appreciated by anybody. I don’t think I’m breaking any hearts by saying that most fans are aware of the flaws this film has. The acting is alternately campy or amateurish, the production design is cheap and artificial looking, the Rodents of Unusual Size are among the least convincing special effects of all time. We’re all aware of that, and none of us care. It all contributes to the charm. Am I biased towards this one? Probably. While I do think this film holds up on its own merit just fine, I will freely admit that my affection for it probably exceeds its objective quality. The film struck a chord with me as a kid and continues to entertain me today. But here’s the thing; I know I’m not alone in my love for it. There wouldn’t be so many re-releases, so much merchandise, or memoirs if the film didn’t connect with audiences. It’s a perfect example of the positives far outweighing the negatives. I log reviews for every film I see, when I see them. You can see my main page here. Recent reviews include Saludos Amigos, May and Batman vs. Two-Face, Adam West’s final turn as Gotham’s Bright Knight.